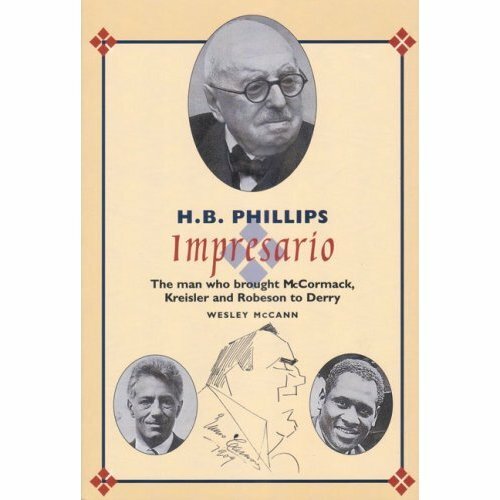 The violinist Fritz Kreisler and the singers John McCormack and Paul Robeson were without question among the most celebrated musicians of the early twentieth century, and each performed in Londonderry within a few months of one another in 1935 and 1936. This was due largely to the efforts of a remarkable man, Henry Bettesworth Phillips, who in a sixty-year career as an impresario and owner of the world-renowned Carl Rosa Opera Company brought pleasure to audiences throughout the length and breadth of the country. Drawing on the surviving correspondence and contemporary reports Wesley McCann traces H.B. Phillips's varied career and unravels the many twists and turns of the planning which went into the brilliant series of concerts in Derry's Guildhall.